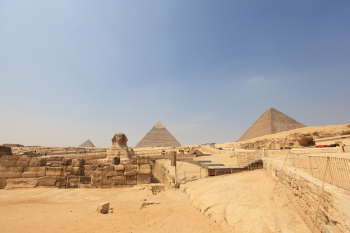 We visited Egypt in March 2012, during a period of relative peace amongst the unrest of the past couple of years. 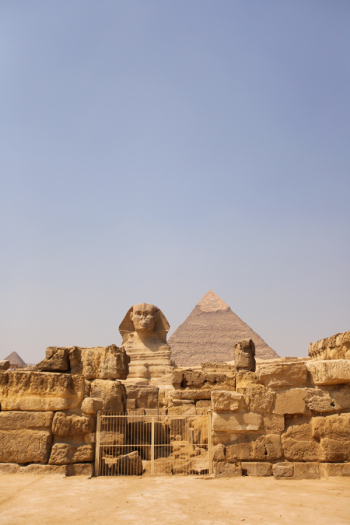 Egypt’s primary industry is tourism, and although March is traditionally the busiest time of the year, we found ourselves with Egypt almost to ourselves, with no crowds and no lines! Our first day was spent relaxing by the pool at our wonderful hotel, the Mena House, and then on day two we ventured to the Pyramids of Giza! My first glimpse of a pyramid made my breath catch in my throat. It’s incredible. 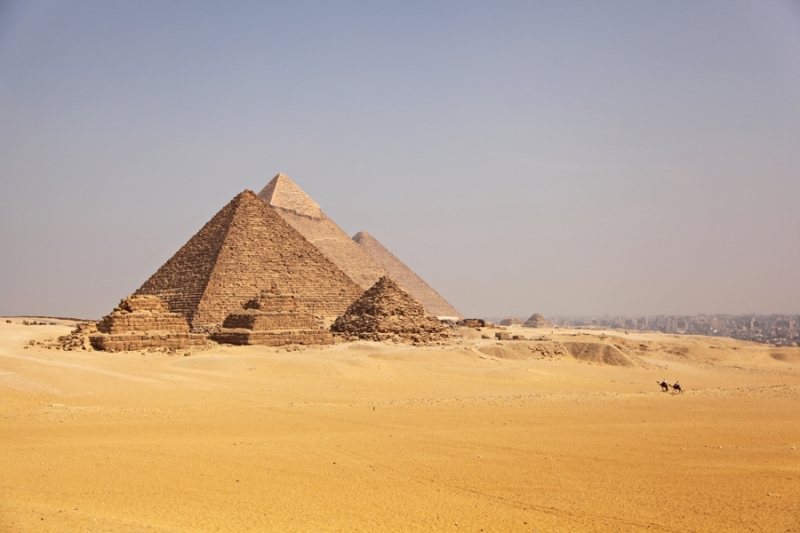 The Great Pyramid of Giza is the last of the seven ancient wonders of the world left standing. When you stand at the base of the pyramids, it seems like man can conquer anything—to think that tens of thousands of men worked for twenty years to build this tomb in 2560 BC… you are simultaneously in awe of the inguinity of man, and overwhelmed at how incredibly small you feel. After going into the Great Pyramid (not for the claustrophobic! ), we drove to the other side to take a camel ride through the desert. Our wonderful camel guide was kind enough to take pictures along the way, so that we could enjoy the wonderful (and sometimes hilarious!) 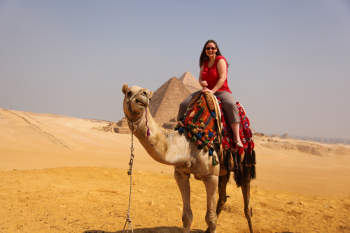 experience of riding our camels around the pyramids. As you can see, my camel, Charlie Brown, had a big personality! 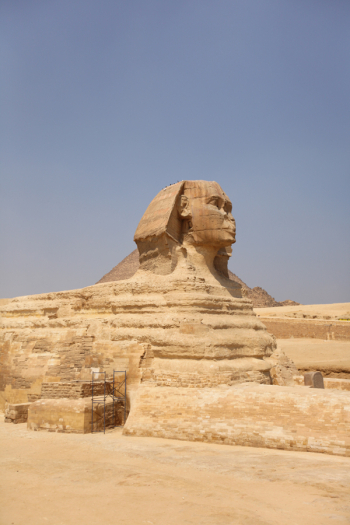 And, a morning in Giza is not complete without a visit to the Great Sphinx! Imagine how large you think it is, then multiply that by three. It’s enormous and amazing! The Egyptian touts are kind, but persistent. Learn the phrase “La, shukran” (No, thank you). A firm but polite “La, shukran” works, if you are not interested in purchasing their product or service. 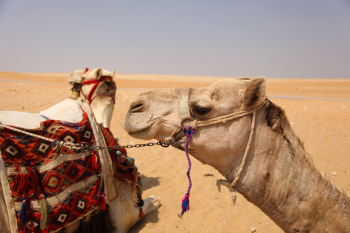 If you are using a tour company to book your transportation, tour guide, and hotel (and I recommend that you do), have them pre-arrange your camel ride. It will likely be more expensive than arranging it on your own, but this will allow you to tell your tour company that you want to book your camel ride with a company who treats their camels well and has an English-speaking camel guide. You will also have a set price, no negotiation, and no hassle. Completely worth it! 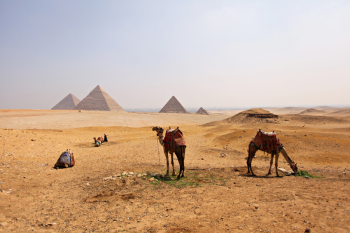 Egypt is a country based upon tipping, or “baksheesh”. It is very different from North America and Europe. Although we did not give money to those who did not provide a service, we did carry 1 pound coins, as tipping is expected for even the smallest act. I also gave coins out for those who allowed me to take their picture. This may go without saying, but as I often wear long skirts when traveling in the Middle East, here’s your friendly reminder to wear capris or pants on your day at the Pyramids! Love the tips – and the pics!